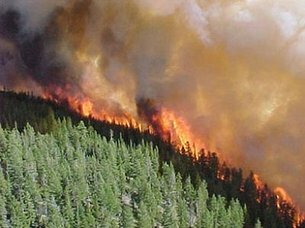 This summer’s MRWC Forum will highlight the effect of wildfire on water and wildlife. Janean Creighton (Northwest Fire Science Consortium) will provide an overview of fire science and ecology research, including a review of knowledge gaps. Kevin Bladon (OSU College of Forestry) will present new research regarding the short- and long-term effects of fire on water quality and quantity. Chris Bentley (Benton County) will talk about community planning regarding fire prevention and response, and Patrick MacMeekin (Oregon Department of Forestry) will speak about defensible space and what each of us can do to prevent forest fires. The event will take place at Philomath’s new Randy Kugler Picnic Shelter and Community Hall, in Philomath City Park, on the banks of Newton Creek. Thursday August 13th, 2015 from 7 to 9 pm.